For a long time, Ziraat were at the top of the standings in Turkey and many saw your team as a serious candidate to win the championship title. But, somehow, after Halkbank broke your winning streak, you fell apart. What was the cause of that in your opinion? „We couldn’t count on all players in the first part of the season due to injuries. Kurek was also unable to play, he was injured. He was treating his injury, carrying out therapies but, still, we played well. We were leaders in the standing after the first part of the season, made 10 wins in a row and then lost to Halkbank in Round 11. In that period, we eliminated Craiova and Düren in the CEV Cup and went through to the quarterfinals. At the beginning of the second part of the season, we had more injury problems with some of the key players. Vojin Ćaćić got his shoulder injury again so we remained without outside hitters. Actually, we had only Kaliberda and players from the youth team in that position but they didn’t have enough experience to compete on a high level. During the whole season, we had problems to play 6 on 6 at workouts because of all this. Nikić came to replace Ćaćić as a huge reinforcement and we stayed at the top of the standings until Round 15. Then Nikić tore his knee ligaments so we remained without him, too, and had to sign Antonov who helped us a lot, especially in the CEV cup,“ Milenkoski said in an interview for our website. Bartosz Kurek was supposed to be a huge reinforcement for Ziraat but he fully healed his injury and started to play only in the second part of the season. How much did this disrupt your concept? 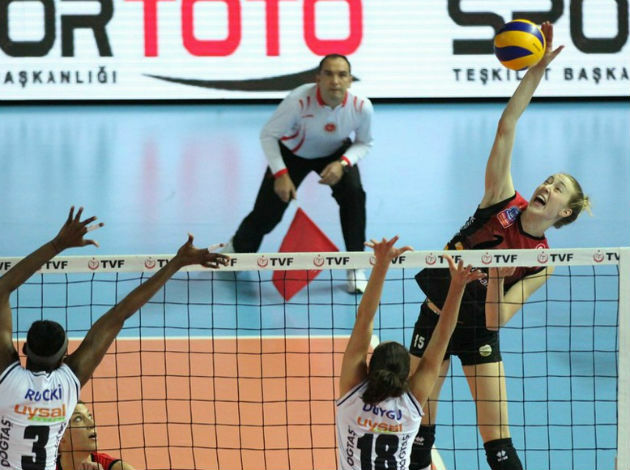 Could Ziraat do more in the CEV Cup finals against Belogorie? Is it true that you started negotiations to take over one national team? What are your plans on a club level for the next season?